The proliferation of smartphones and tablets (the global installed base of smartphones alone is set to hit 3 billion devices by 2017) has led consumers to adopt new behaviours, and develop expectations around what experiences mobile computing can offer. Coupled with the increasing adoption of cloud services and applications, there is simply an expectation that the content we want – be it music or video, communications and social media applications, or the tools we need to work – should be available on whichever device or screen we have in front of us at that particular moment. 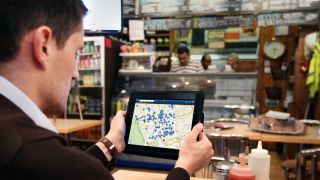 It is common to see consumers in many western, developed markets now owning or using at least three connected devices on a regular basis: usually a PC (desktop or laptop), a tablet and a smartphone. They provide different experiences and capabilities that we can tap into at different times of day, in different locations, or for particular tasks. More immersive, creative tasks are left to the larger screen of a PC, for example (although the emergence of hybrid, touch screen tablet / laptops is challenging this concept), but simple browsing is easy on a tablet and anything requiring a very quick or instant interaction is left for the smartphone. Preferences for different interfaces and user experiences are built up according to the different devices that we use on a constant basis, and we now have very high expectations over the quality of applications and devices that we use – quite simply, if anything does not work quickly and easily or has various bugs and glitches, we stop using it. It is no surprise that these consumer expectations and behaviours are having an impact in the workplace. If consumers can be mobile and flexible in terms of the devices they use and content that they access in their personal life, the obvious question is: why can those principles not be applied to work? That prevailing attitude has translated into "Bring Your Own" behaviour, with employees using their own devices and finding their own applications to help them be more flexible, and work while away from the office. Ovum's research among full-time employees across the world tells us that almost 57% are using a personal smartphone or tablet to access corporate data in some way, no matter whether such usage is approved by corporate IT or not. This is a widespread behavioural trend that can't be ignored, and indicates a general desire for increased agility around working practices. The BYOA (Bring Your Own App) trend is also indicative of the desire from employees to use multiple screens or devices for work. 22% of full-time employees are finding their own file sync and share (FSS) applications to use at work (the common example being Dropbox). This may not be a particularly safe way of working as the business then has no way of tracking where its data is, but for the large majority of workers it is not malicious activity – they are simply looking for ways to help them do their jobs better. If enterprise IT can't provide the tools that makes workers' lives easier, they are increasingly able to source their own. When asked why they chose to use a self-sourced FSS application, the key motivation for these employees was clear: 57.4% of employees who use their own FSS applications do so in order to share data between their different devices, versus only 41.4% who did it to communicate and collaborate with their colleagues. The equation is simple: employees now have access to range of devices of different sizes and form factors, whether personally owned or provided by their employer; they want to be able to use these different devices for work; and cloud-based sharing and collaboration applications allow them to do so easily. New connected screens are providing users pervasive access to services that are enabling new modes of working. Smartphones and tablets are the key enablers for cloud services and applications. The raw scale of the smartphone market, set to reach a global installed base of 3 billion devices by 2017, is driving consumerisation of IT and making the workplace the point of convergence for multiple device types, irrespective of whether they are owned by the individual or corporately provisioned. The new IT environment is complex and requires management and security of a new range of devices and applications, which businesses are finding it tough to get to grips with: for example, 62% of those employees who use their own devices at work do not have a corporate IT policy governing that behaviour. But tools such as Samsung Knox are available to simplify this complexity and help businesses release the value from greater levels of employee engagement. Meetings are evolving, and boardrooms are now becoming more dynamic and efficient as real time collaboration technologies evolve, enabled by personal screens and communal screens such as flat panel displays. The workplace is becoming a truly "mobile first" environment, moving away from the more traditional notion of providing fixed workstations for every employee. Wherever possible, employees are spreading their working time across multiple devices, not just relying on a PC to get their job done. Richard Absalom is a Senior Analyst of Enterprise Mobility and Adrian Drury a Consulting Director, both at Ovum. The Future of Work report was produced in partnership with Samsung - follow the links for Part 2, Part 3 and Part 4.